Renowned for cutting edge manufacturing technology, Crown Imperial still continues today to demonstrate its true dedication to innovation and design, offering a comprehensive palette of high quality fitted home furniture solutions distributed by its nationwide independent retailer network. The personal touch. Nationwide network of furniture specialists that will work with you to create the perfect solution for your needs. Over 70 years of manufacturing experience to produce the highest quality furniture embracing traditional styles through to the most modern material and trends. Constantly updated range of furniture incorporating unique innovations exclusive to Crown Imperial. We don’t make furniture for anyone else! Crown Imperial LIVING takes furniture into virtually every room of the house. 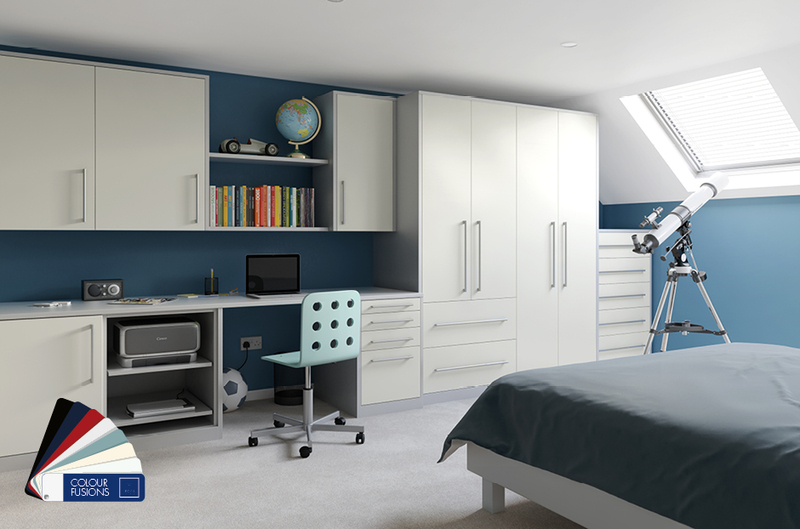 Fusing Bedroom furniture with shelving, desks and storage to meet the versatile expectations of modern life – you will soon appreciate the fl exibility of LIVING and start to see how you could use it throughout your home. 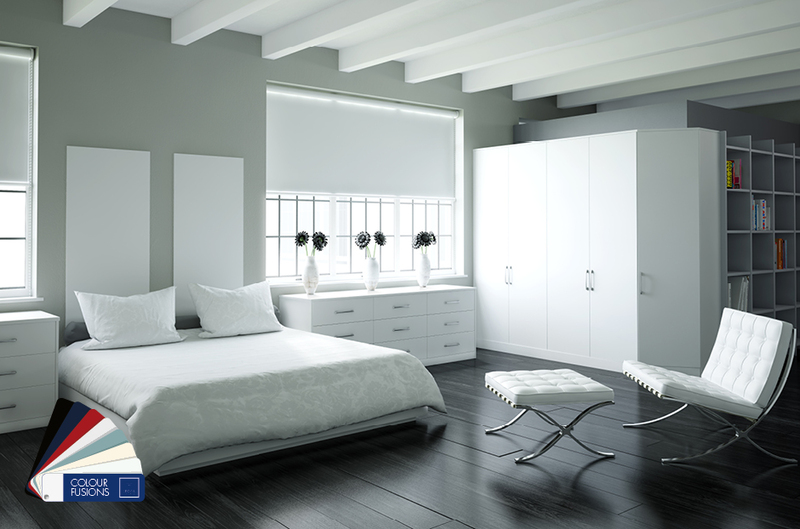 From bedrooms and beyond, the new LIVING range from Crown Imperial caters for the needs of the entire family. Colour has a huge impact on the way we live. 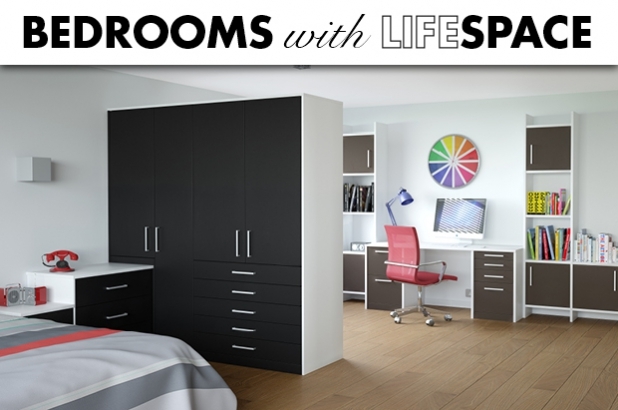 With Crown Imperial LIVING Bedroom and LifeSpace furniture you can add a touch of colour throughout your home. Whether it is neutral shades, vibrant tones or subtle hues, there is something for everyone. Available in a range of matt, gloss and painted finishes, you can mix and match the colour palette to create something truly unique across both Bedrooms and LifeSpace. Colour co-ordinate your entire house or create something unique in each room, the choice is all yours. Your Bedroom. Your LifeSpace. 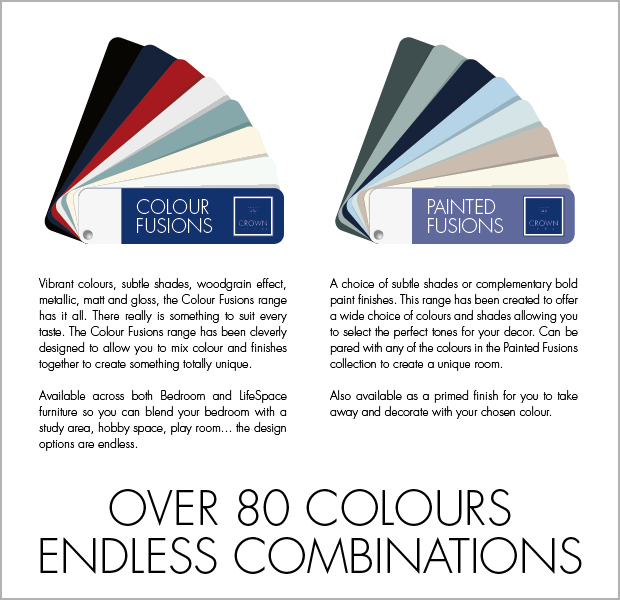 Your colour fusion. Crown Lifespace not only looks impressive but it is also designed to offer perfect functionality. 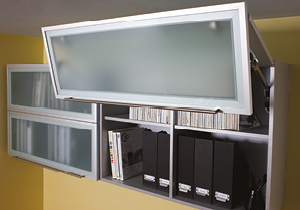 Individual features include hanging file drawers, bi-fold doors, pull out shelving, moulded pencil trays and desktops. Mix and match the features according to your lifestyle and storage needs. Hinged for easy use, Bi-Fold frosted doors are a contemporary alternative to traditional cabinets. 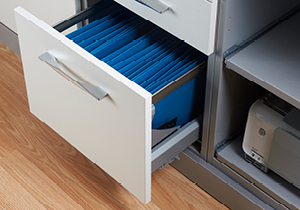 Highly functional, LifeSpace file drawers are a must for organising paper work. A moulded pencil tray is a necessity for keeping desk drawers in order. 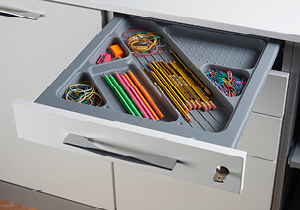 LifeSpace includes a pencil tray with a compartment for every piece of stationary you might need. 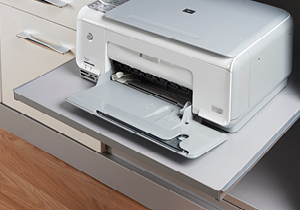 Smart pull out shelves keep computer accessories out of view when not in use, but ensure essentials are instantly accessible when needed.